Penta & Marisu during thier meet,greet & autograph session. 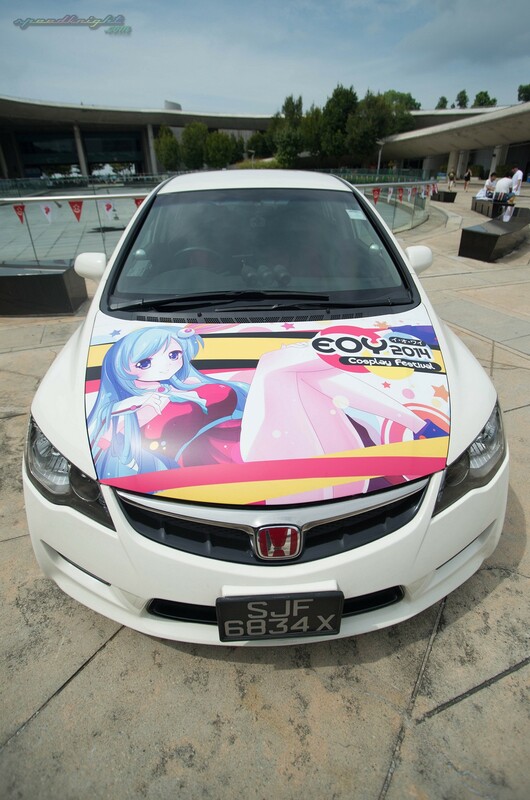 Over the weekend, E.O.Y 2014 drew crowds to its event venue at Marina Barrage. For the 1st time the event was held for 2 days. 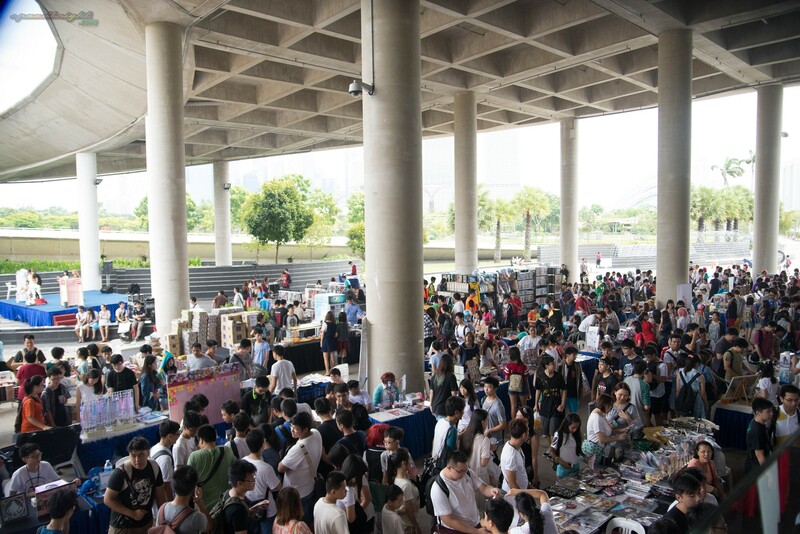 The Event was also brought forward to August instead of it being in December, this is because Marina Barrage is closing for renovations soon. 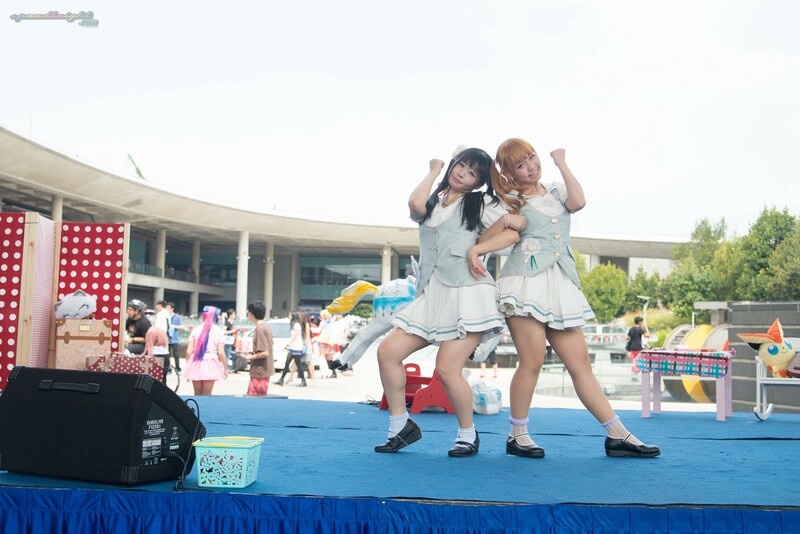 This year, there were not 1 but 2 Nico Nico Dancers were invited as guest, Penta and Marisu sure had thier fans on thier feet while performing man of the well known NNDs on stage on both days. Be sure to catch thier performances on the 1st day in the video below and just listen to the cheers from thier fans. 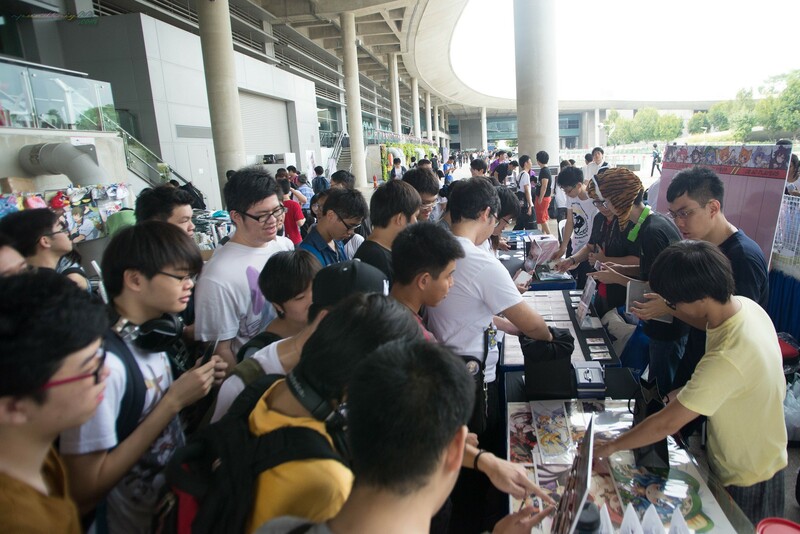 Event-goes flooding the many booths of EOY selling anime merchandise and Doujin. As Usual the C.D.S Booth was being flooded with a steady stream of people. There were many familar names that was in the booths. The above picture was taken very early on the first day of the EOY when the booths have just finish setting up and started selling thier product. C.D.S who as always been the crowd favourite at any event was selling thier fan art from the series Date a live. Ice*Berry and Daiyaku were also present. 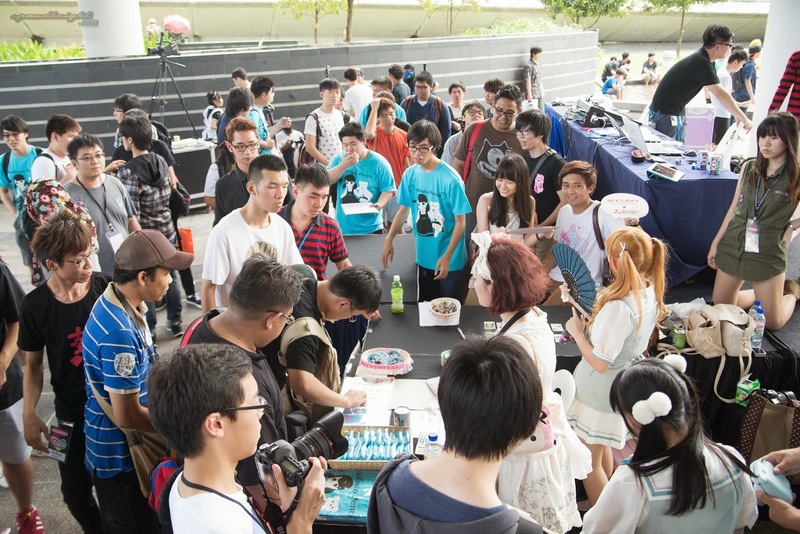 Other than the booths selling doujin, there were several others selling anime Merchandises as well. There was even Catch Japan if you need a qucik fix of your avourite Japanese snacks. 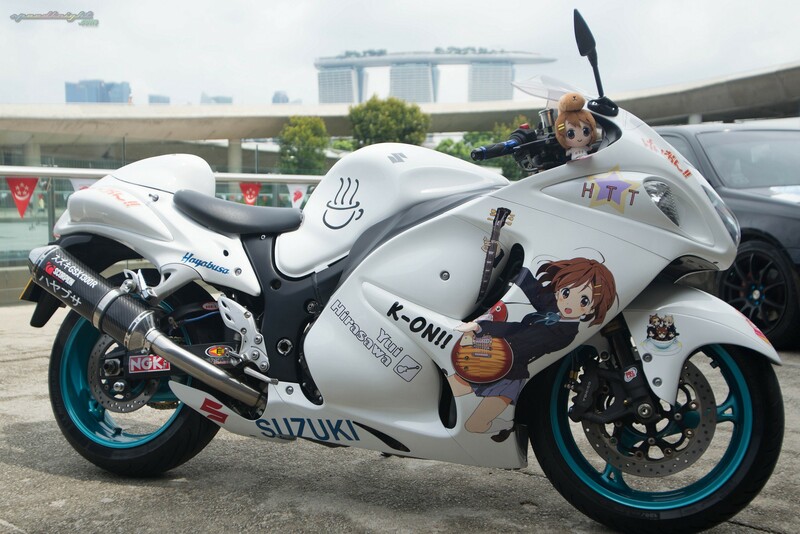 These are literally known as "Pain-bikes" & Pain-car" culture which is slowly gaining popularity outside japan, as seen above it means decking out your car in anime and manga characters decals. If you are wondering where the Pain come from such Cute looking cars and bikes,its prolly from the owner's wallet. 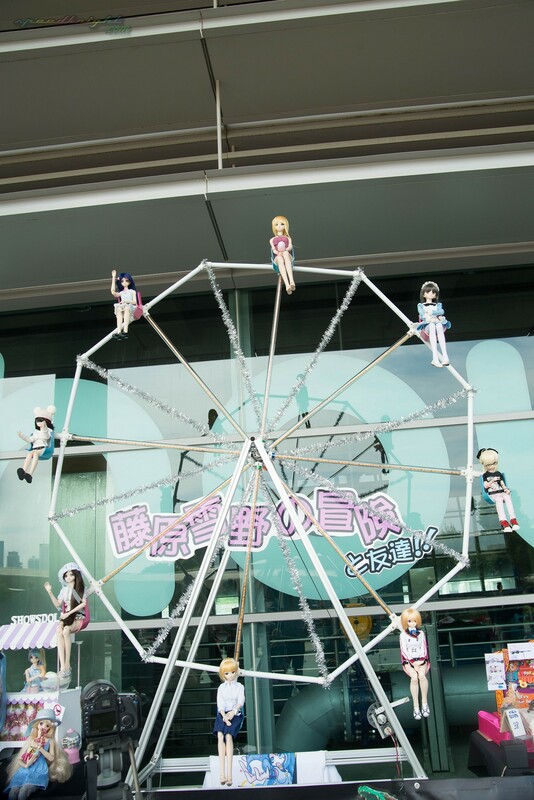 Dollfies on a ferris wheel, Part of the dollfies showcase. As of the past few years there is a dollfie showcase made possible by Fujiwarayukino and thier friends. This year the theme is based on the wonderland concept. Just check out the awesome Ferris Wheel, yes is a working one with fanciful lights included! 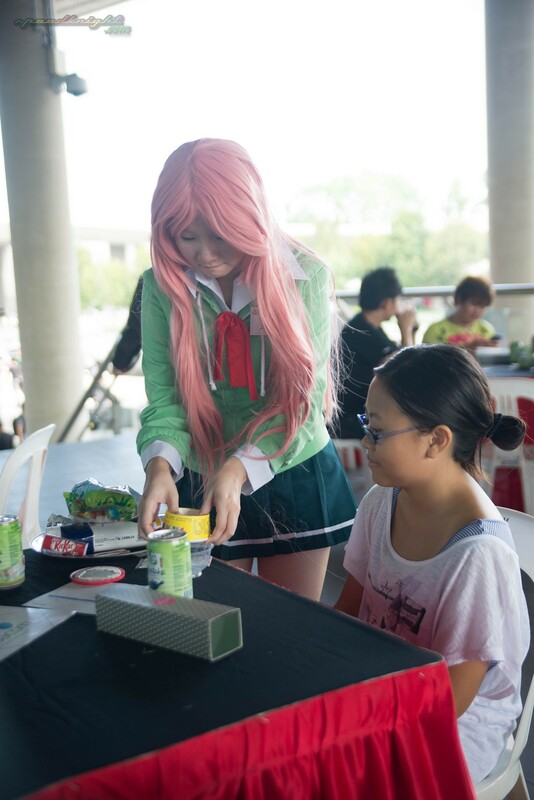 Returning of the 2nd year Doki Doki Hearts Cafe 2014 continue to delight Ojou-sama and Oji-Sama who visited thier cafe. 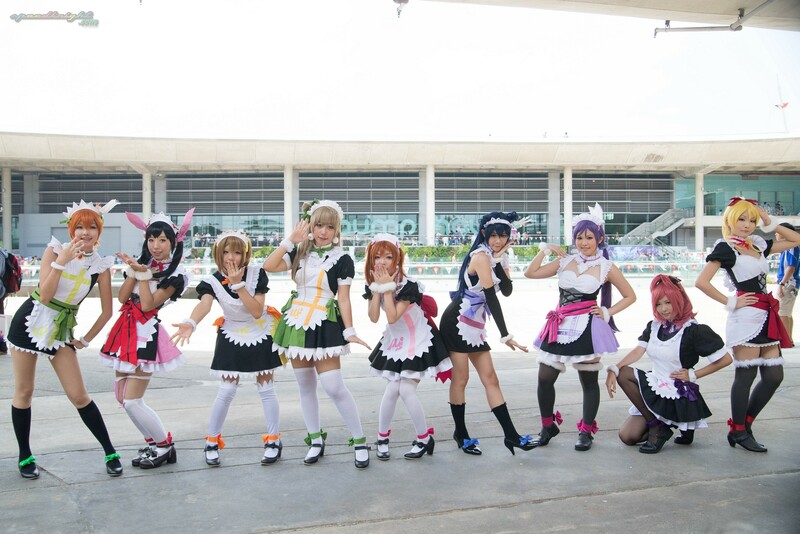 Last but certianly not the least its the cosplayers! 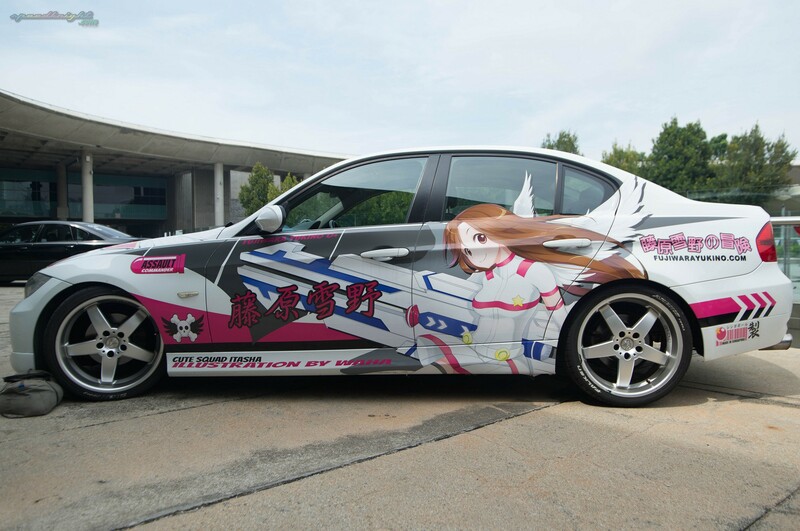 From Love Live to No Game No Life, watch your favorite anime, manga and game characters being brought to life. Do Check out Team M-irai awesome performance in a video below. This year i have also ask for the help from my friends at Tkte0408 Photography and Shutter Paradox for help in the coverage of the Event. Please click here for the rest of tkte0408's EOY 2014 photos here & like his page as well!